Have a question for Solvaram Pension? Offering quality accommodations in the restaurants, sightseeing, culture district of Gyeongju-si, Solvaram Pension is a popular pick for both business and leisure travelers. From here, guests can enjoy easy access to all that the lively city has to offer. With its convenient location, the hotel offers easy access to the city's must-see destinations. Solvaram Pension offers impeccable service and all the essential amenities to invigorate travelers. To name a few of the hotel's facilities, there are free Wi-Fi in all rooms, Wi-Fi in public areas, car park, restaurant, concierge. Hotel accommodations have been carefully appointed to the highest degree of comfort and convenience. 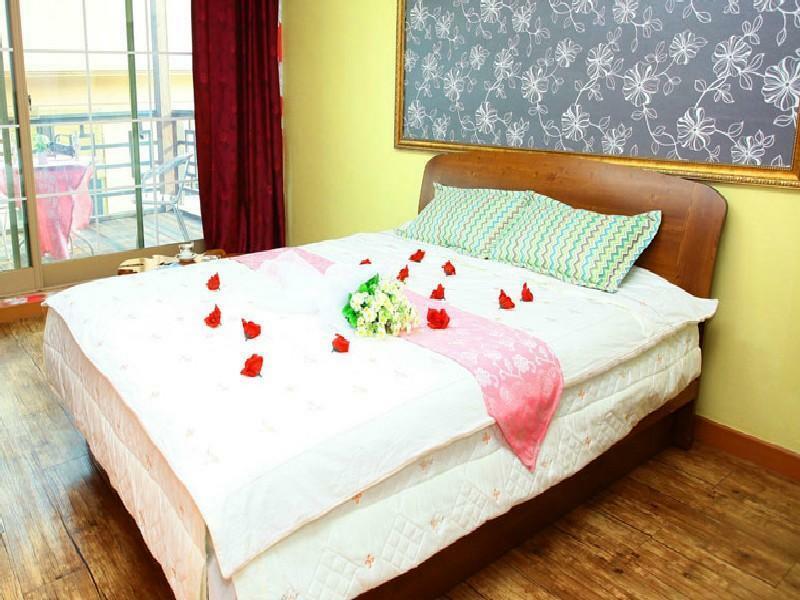 In some of the rooms, guests can find air conditioning, balcony/terrace, television, kitchenette, refrigerator. Throughout the day you can enjoy the relaxing atmosphere of the outdoor pool, garden. Solvaram Pension is an ideal place of stay for travelers seeking charm, comfort and convenience in Gyeongju-si. The hotel is not far from the bus terminal.The only way is taxi and there is no restaurant near the hotel.It's good for family to carry the food.If you want to do the sightseeing,it's not so convenient.But the kitchen in room are good,you can cook by yourself. This is a lovely little pension, somewhat off the beaten path near Gyeongju. It is a bit of a walk from the nearest bus station into town but at night, it's quiet and relaxed, exactly what we wanted. There are enough facilities in the room to be basically self-sufficient during your stay (kitchen, etc.). The owners are quite friendly and very accommodating to requests. A very nice place to stay, removed from the city, in the middle of the hills, with a lovely decoration, comfortable furniture and helpful hosts. Peaceful, Plenty of space and also had a balcony. Pension owners really friendly. Not far from local town. really nice area, rooms clean, well furnished and great views. very friendly owners and would recommed staying here. it is a bit far from downtown and korean railway station, but near ( around korean won by taxi ) to ktx , korean express train station. staff is nice & eagar to help, as in most of my experience with koreans. i guess this hotel is more suitable for koreans with own transportation looking for a get away weekend. Bien qu'il y ai eu un problème avec la réservation, nous n'avons pas pu séjourner le nombre de jours que nous avions réservés, le personnel de l'hôtel s'est révélé être incroyable gentil et serviable. Le responsable a tout fait pour que notre séjour soit le plus agréable possible, allant même jusqu'à nous emmener dans le centre ville avec son véhicule personnel. L'endroit est superbe, en plein milieu de la forêt et des montagnes, piscine, balcon, tout y est fait pour que l'on se sente bien. Certainement le meilleur hôtel dans lequel nous avons séjourné en Corée. Je le recommanderai à mes amis et si je peux y retourner ce sera avec grand plaisir ! Un incontournable ! 위치는 역에서 멀지 않아 좋음.